Annually in June a group of volunteer EPI scholarship recipients travel to rural Akim Asafo Senior High School for their summer internship to provide a two week teaching and mentorship experience for the students. The EPI volunteers reside in the local area and provide Asafo students with a structured program of intensive tutoring, career counseling, and support in other areas of personal growth and development. Although EPI’s efforts are concentrated predominantly in Ghana, in 2007 the organization established a domestic component to its program to support a select number of National Merit and Presidential Scholars enrolled in engineering and computer science disciplines at the University of Nevada, Reno. Students selected are from less economic means, of a minority, or are the first in their family to attend university. These scholars are students who receive the highest scores nationwide in the Preliminary SAT/National Merit Scholarship Qualifying Test and have other academic and personal achievement that provide them with distinction. 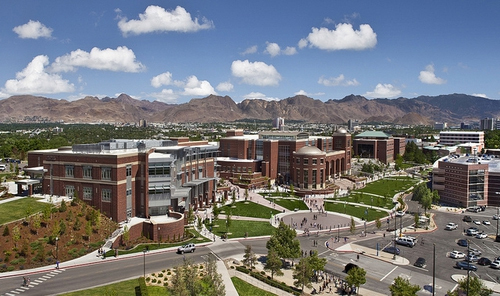 For more information on the University of Nevada, Reno, College of Engineering. For more information on the National Merit Scholarship Program.